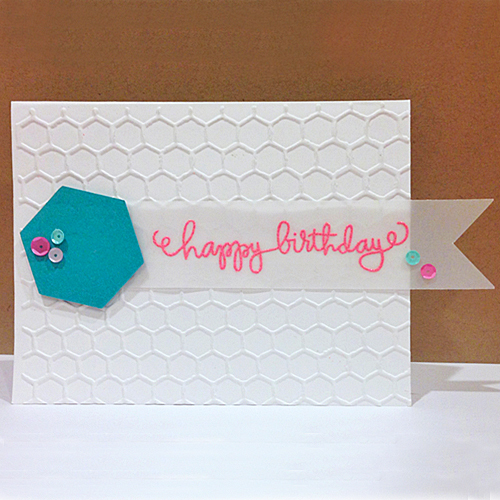 Sharing a trendy but super quick Hexagon design birthday card today! Hey there, Ashley here to show you how to make a birthday card when you’re short on time. 1. Emboss a card with an embossing folder. 2. 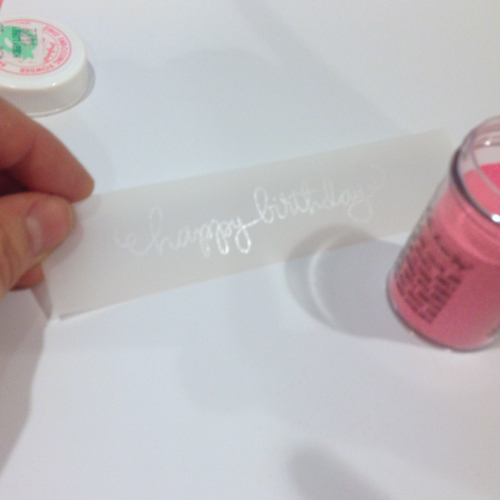 Using watermark ink to stamp a birthday sentiment. 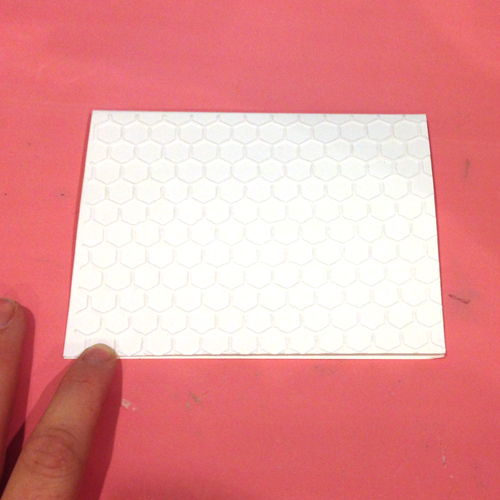 Pour embossing powder over it and tap off excess. With your heating tool, melt the powder. 3. 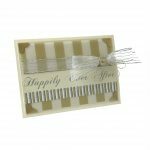 Using the E-Z Runner® Permanent Fine Adhesive, adhere the strip of vellum to the card. 4. 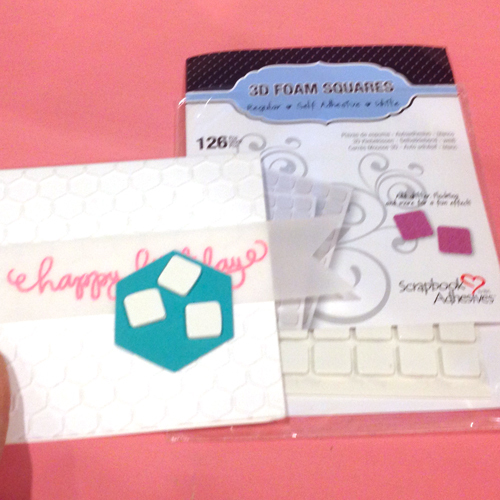 For a little dimension and interest, adhere hexagon die cut with 3D Foam Squares White Regular. 5. 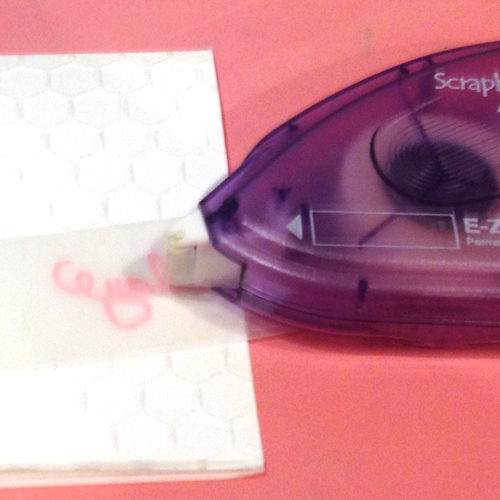 Using Adhesive Dots Small, cut them in fourths and adhere sequins to the card. There you have it!! Hope you enjoyed this fun card! See other projects using E-Z Runner Permanent Fine and vellum by clicking the image or text. This entry was posted in 3D Foam Squares, Adhesive Dots & Lines, Adhesives, Cards, Crafts & Tutorials, E-Z Runner® Dispensers, Permanent Adhesive, Tutorial and tagged 3D Foam Squares Mix White, 3D Foam Squares Regular White, Adhesive Dots Micro, Adhesive Dots Mini, Adhesive Dots Small, American Crafts, Ashley Harris, Avery Elle, E-Z Runner Permanent Fine, IMAGINE Crafts/Tsukineko, Silhouette Cameo, Simon Says Stamp. Bookmark the permalink. 2 Responses to "Happy Hexagon Birthday!" 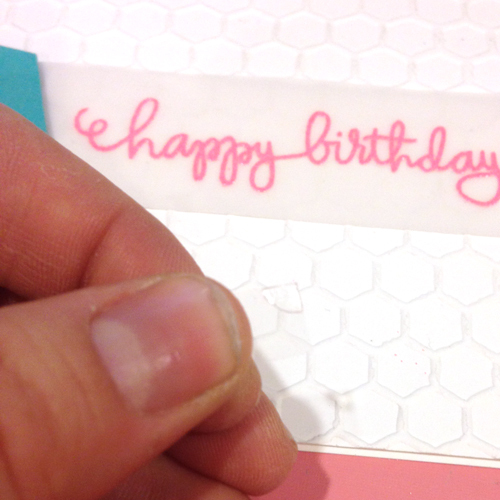 I love hexagons and this card is so pretty I love that you did the greeting on vellum great job!